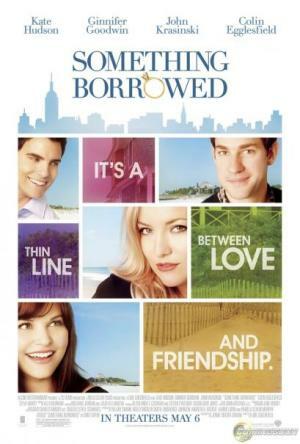 Based on the novel by Emily Griffin, the story tests the boundaries of love and friendship when Rachel (Ginnifer Goodwin)spends the night with Dex (Colin Egglefield), her best friend Darcy’s (Kate Hudson) fiance. Thrown into the mix is Ethan (John Krasinski), Rachel and Darcy’s childhood friend who wants someone of his own. Ethan: I can’t take this ‘Daddy beats me because he loves me’ excuse. John Krasinski was hilarious in this movie! He’s got the best lines and jokes, and his facial expressions were the icing on the cake. Movie-wise, the crucial parts were more or less in the trailer so you’re mostly there to know the ending. I guess audiences are led to Team Rachel because it kinda describes Darcy as a friend-zilla. But you’ll never know because there’s a sequel to this story (Something Blue) that is written in Darcy’s point of view. Colin Egglesfield is easy on the eyes but he doesn’t seem to joke much, or at all. So yeah, I’m for John Krasinski! STAY FOR AN EXTRA SCENE DURING THE CREDITS! Tank (Dane Cook, middle) is a guy who is hired by other guys to act like a girl’s worst date so that she’ll go back to her boyfriend gratefully. The complication arises when Tank’s best friend hires him to help him with his catch, Alexis… and as most romantic comedies go, Tank falls for Alexis. The funniest part must be where Dustin accidentally shaves off his eyebrow and his solution to the problem. That got me laughing in stitches! But you start to side with Tank at Alexis’ sister’s wedding even though he does the worst imaginable.